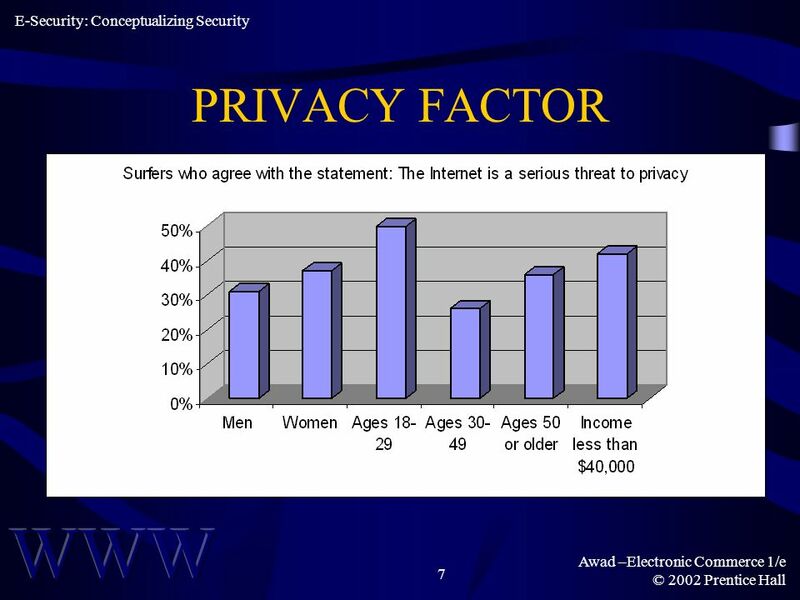 13 Awad –Electronic Commerce 1/e © 2002 Prentice Hall 13 HOW MUCH RISK CAN YOU AFFORD? 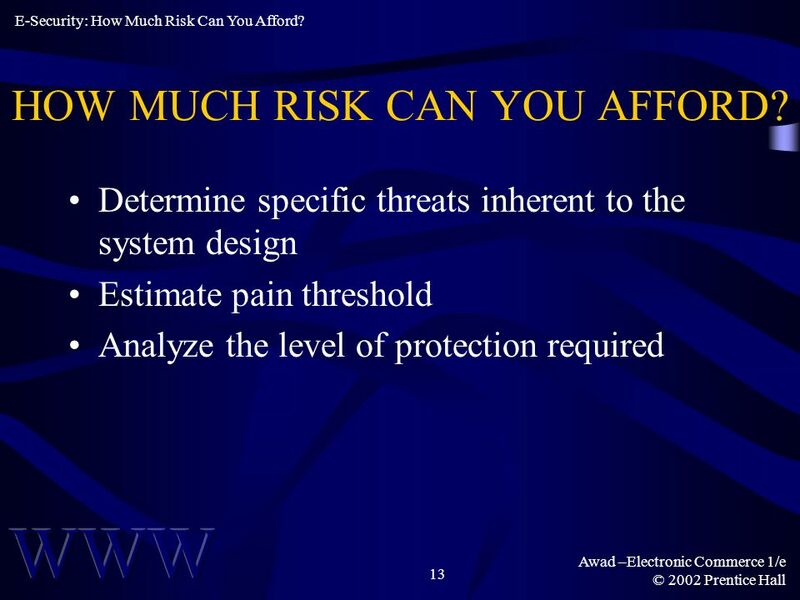 Determine specific threats inherent to the system design Estimate pain threshold Analyze the level of protection required E-Security: How Much Risk Can You Afford? 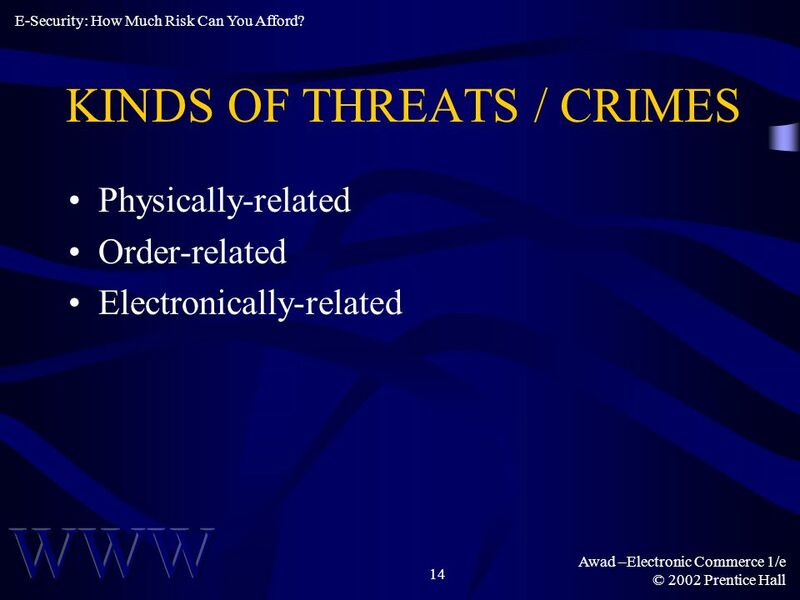 14 Awad –Electronic Commerce 1/e © 2002 Prentice Hall 14 KINDS OF THREATS / CRIMES Physically-related Order-related Electronically-related E-Security: How Much Risk Can You Afford? 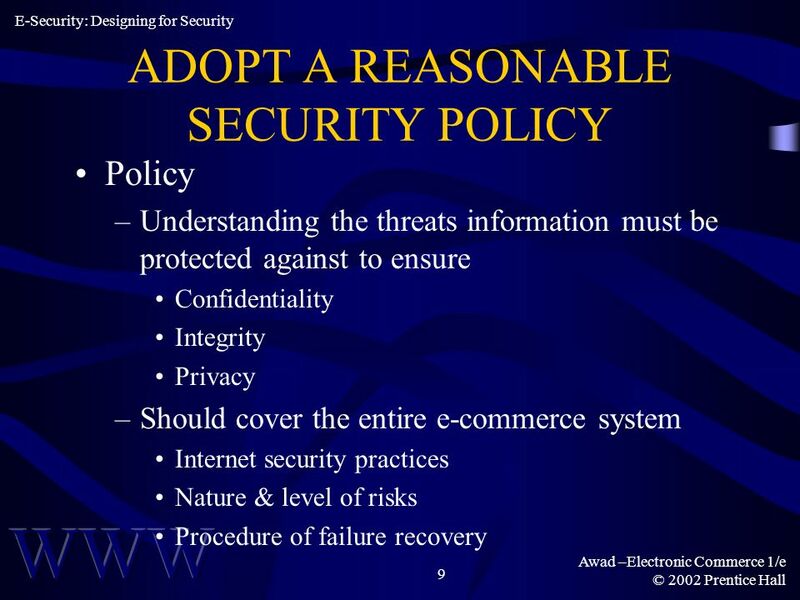 15 Awad –Electronic Commerce 1/e © 2002 Prentice Hall 15 CLIENT SECURITY THREATS Why? –Sheer Nuisances –Deliberate Corruption of Files –Rifling Stored Information How? –Physical Attack –Virus –Computer-to-computer Attack E-Security: How Much Risk Can You Afford? 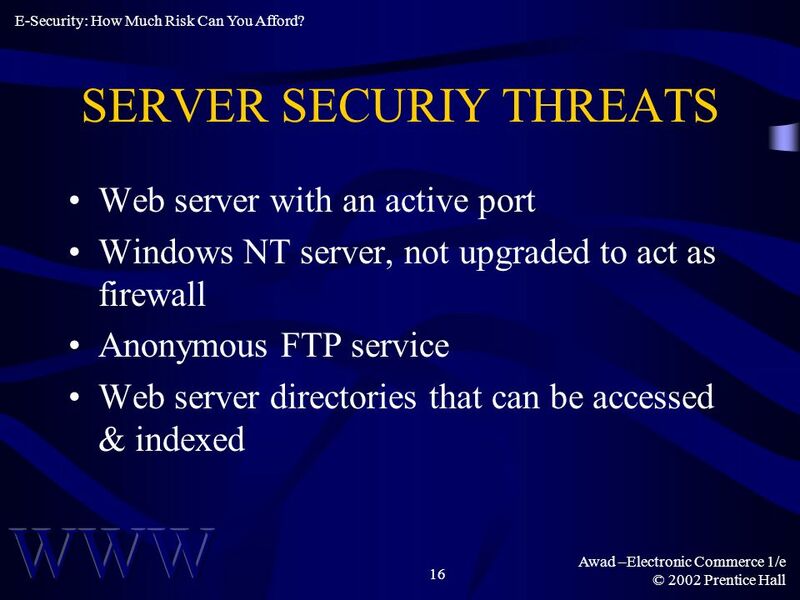 16 Awad –Electronic Commerce 1/e © 2002 Prentice Hall 16 SERVER SECURIY THREATS Web server with an active port Windows NT server, not upgraded to act as firewall Anonymous FTP service Web server directories that can be accessed & indexed E-Security: How Much Risk Can You Afford? 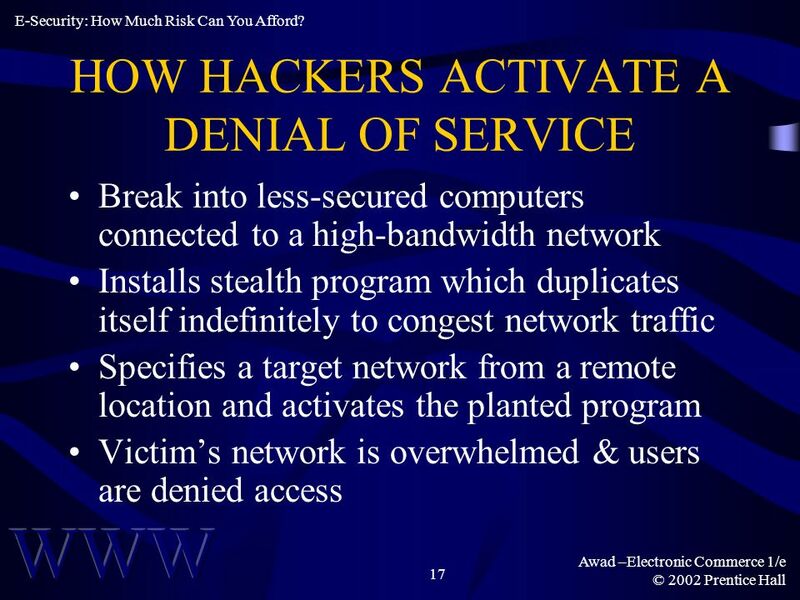 17 Awad –Electronic Commerce 1/e © 2002 Prentice Hall 17 HOW HACKERS ACTIVATE A DENIAL OF SERVICE Break into less-secured computers connected to a high-bandwidth network Installs stealth program which duplicates itself indefinitely to congest network traffic Specifies a target network from a remote location and activates the planted program Victims network is overwhelmed & users are denied access E-Security: How Much Risk Can You Afford? 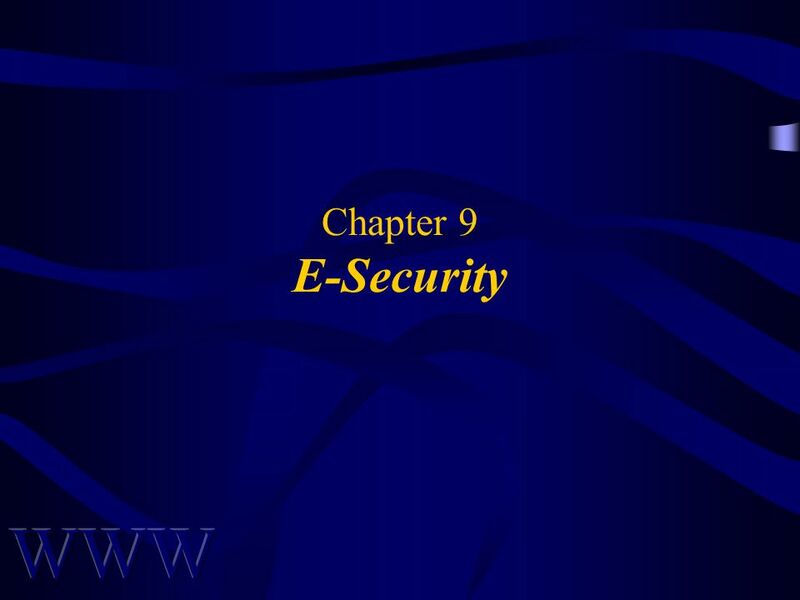 Download ppt "Chapter 9 E-Security. 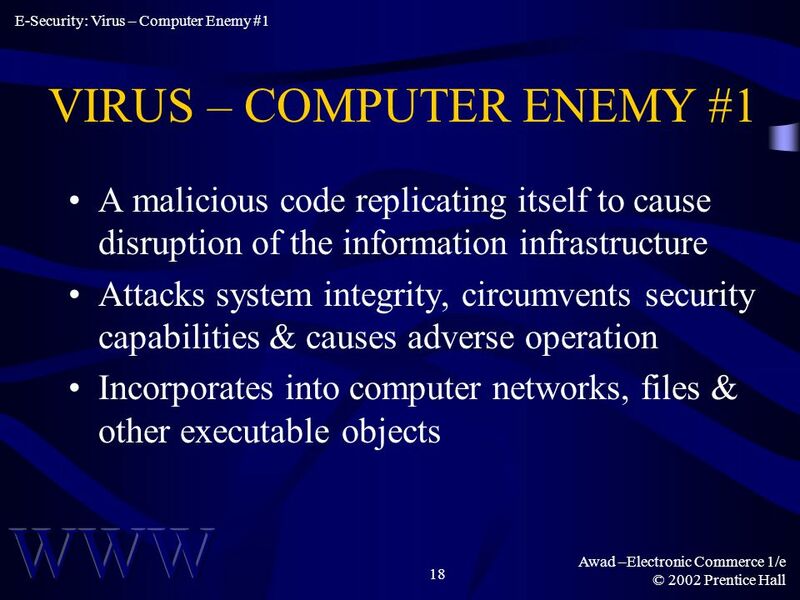 Awad –Electronic Commerce 1/e © 2002 Prentice Hall 2 OBJECTIVES Security in Cyberspace Conceptualizing Security Designing for Security." Chapter 3 Launching a Business on the Internet. 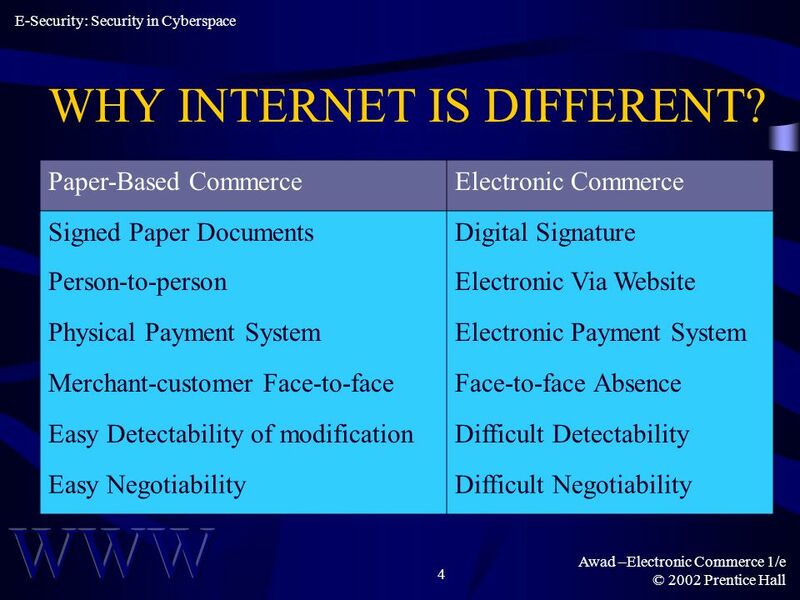 Awad –Electronic Commerce 1/e © 2002 Prentice Hall 2 OBJECTIVES Introduction of E-Business Life Cycle. Copyright Critical Software S.A All Rights Reserved. COTS based approach for the Multilevel Security Problem Bernardo Patrão. Outpost Office Firewall Product presentation. 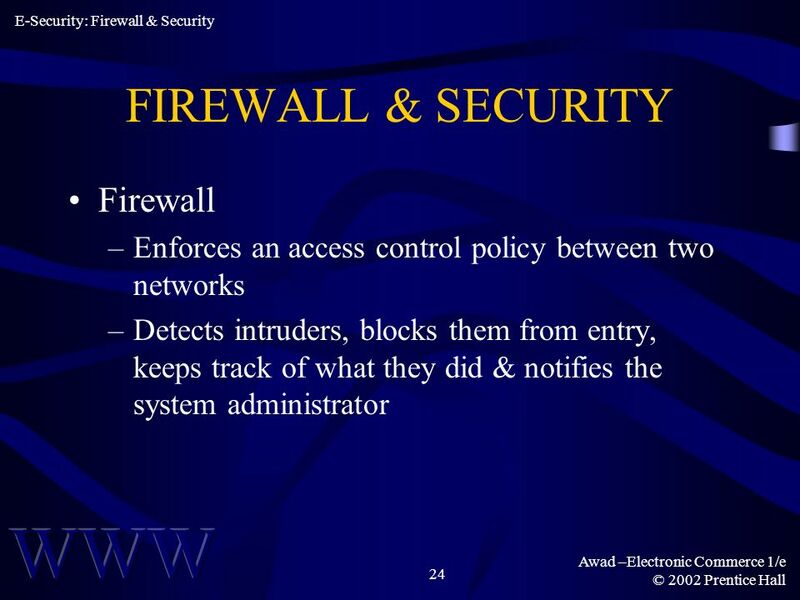 What is Outpost Office Firewall? 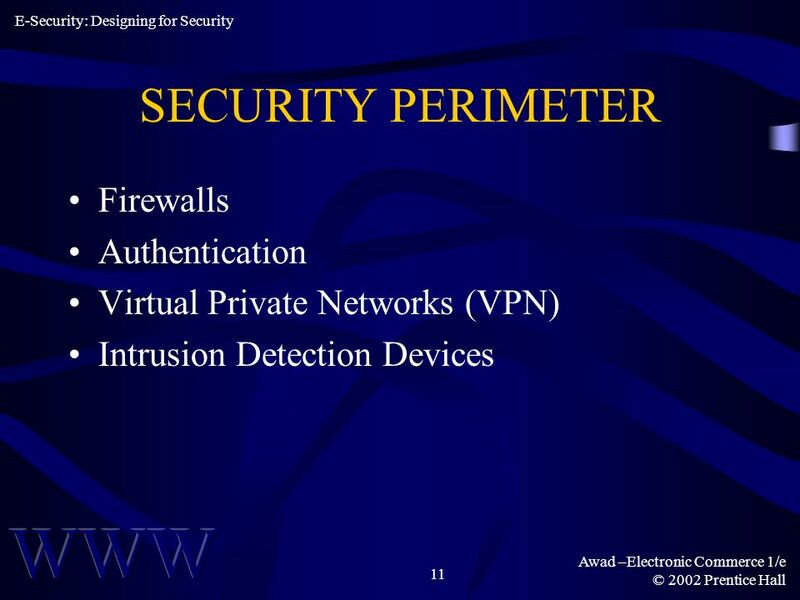 Software firewall solution designed especially to meet small and medium. 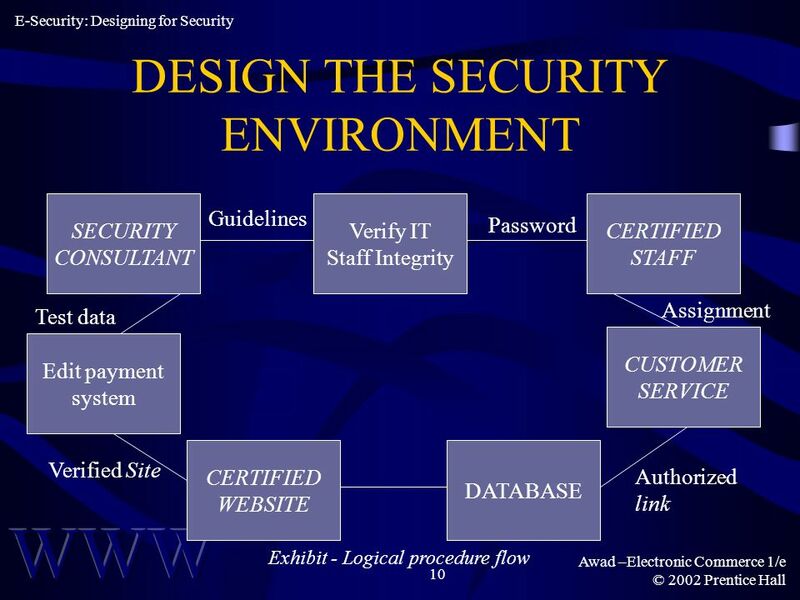 Security by Design A Prequel for COMPSCI 702. Perspective “Any fool can know. The point is to understand.” - Albert Einstein “Sometimes it's not enough. Welcome to the GIG Event 1. MICROSOFT ACTIVE DIRECTORY SERVICES Presenter: Avinesh MCP, MCTS 2. Information System Audit : © South-Asian Management Technologies Foundation Chapter 4: Information System Audit Requirements. 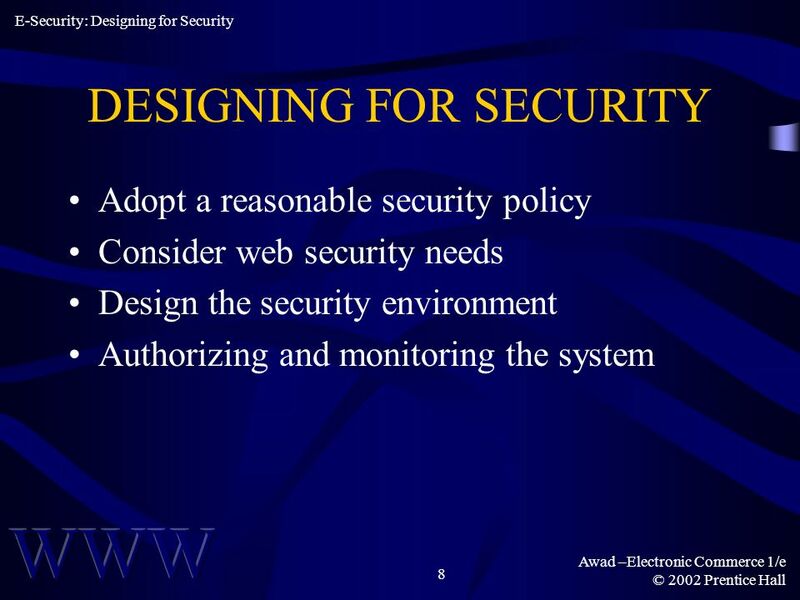 1 Chapter 8 Fundamentals of System Security. 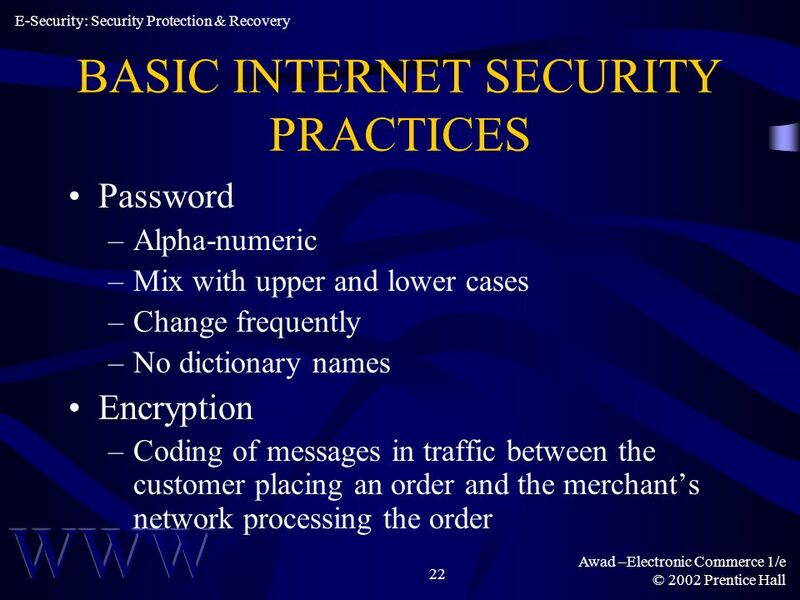 2 Objectives In this chapter, you will: Understand the trade-offs among security, performance, and ease of. 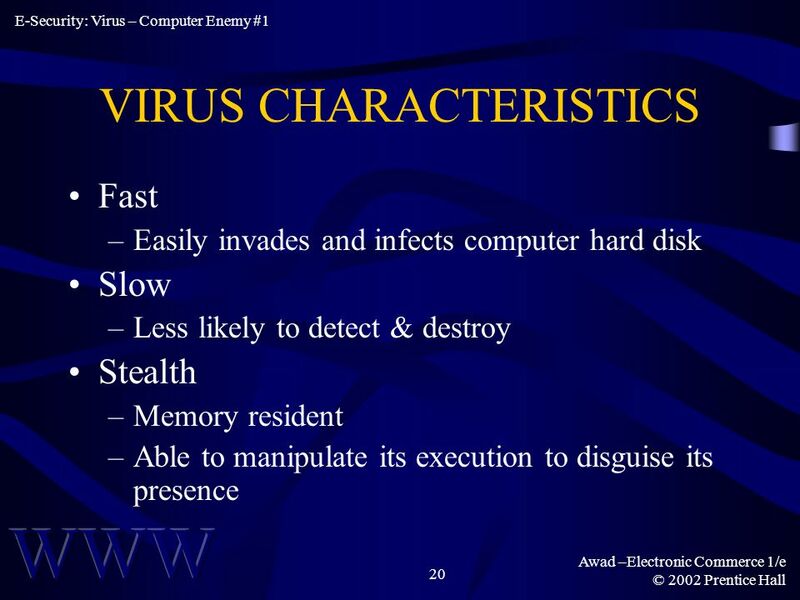 Computer viruses Hardware theft Software Theft Unauthorized access by hackers Information Theft Computer Crimes. 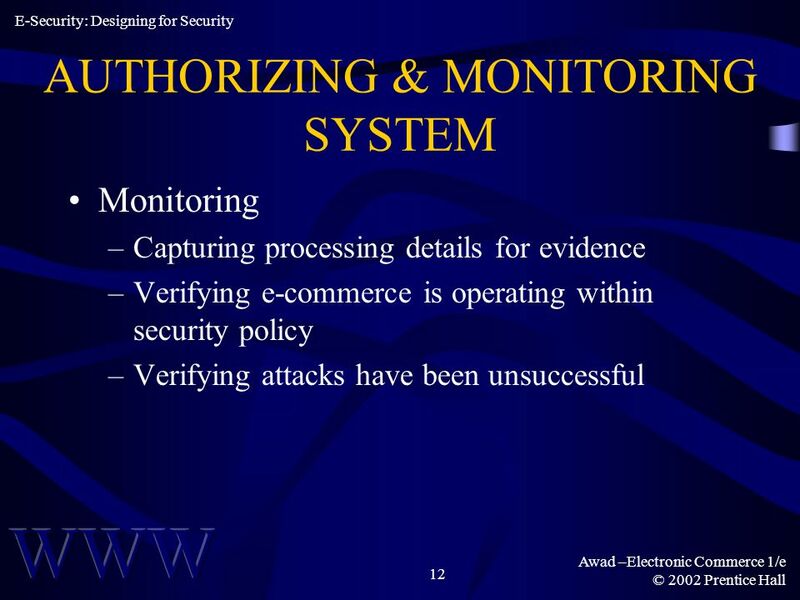 E-Commerce Security Issues. 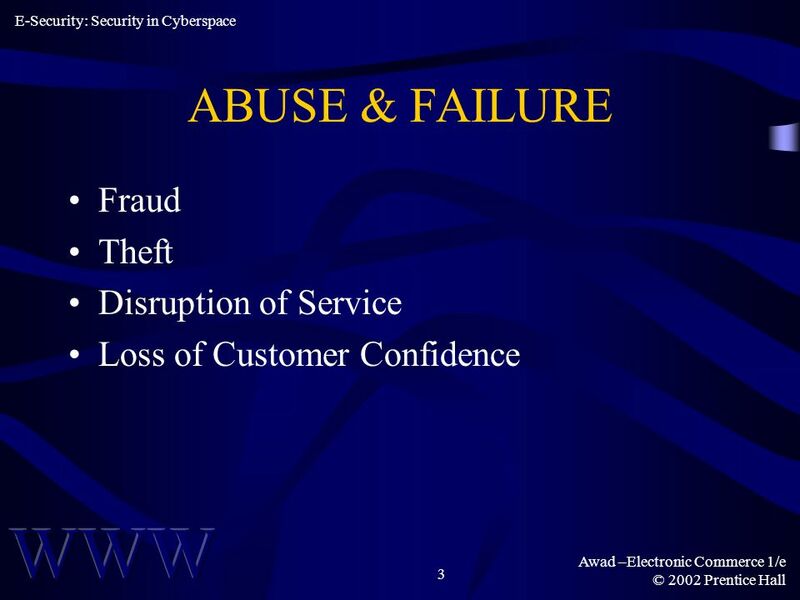 General E-Business Security Issues Any E-Business needs to be concerned about network security. The Internet is a “ public. 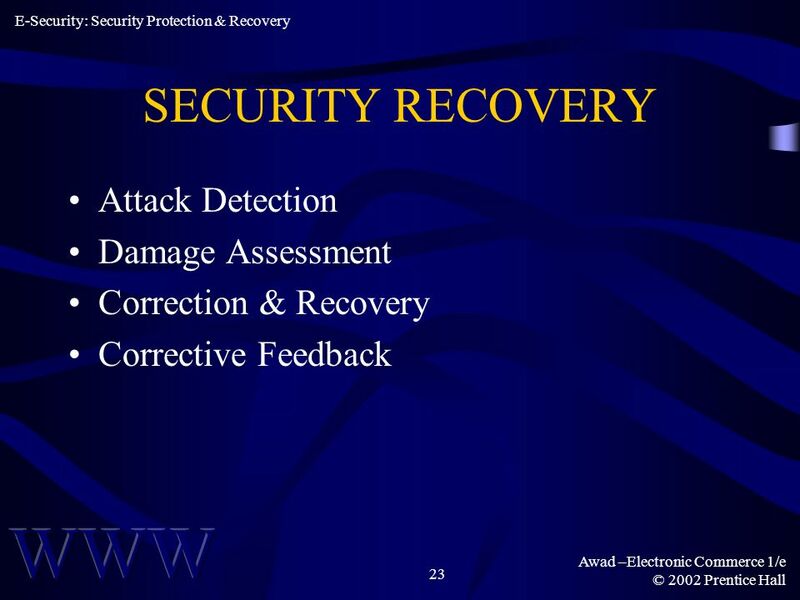 © Paradigm Publishing, Inc. 8-1 Chapter 8 Security Issues and Strategies Chapter 8 Security Issues and Strategies. 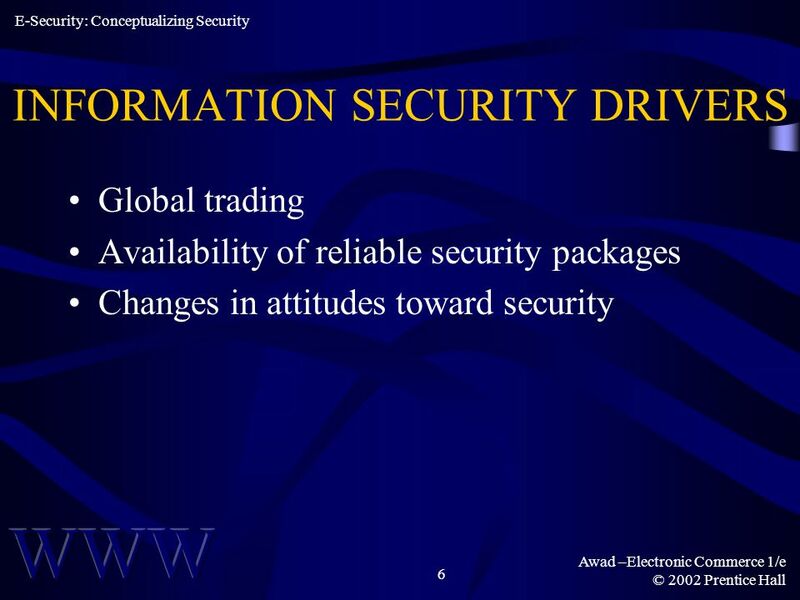 8.1 © 2007 by Prentice Hall Minggu ke 6 Chapter 8 Securing Information Systems Chapter 8 Securing Information Systems.